Similar to child support, the parents can discuss, negotiate, and execute a child custody arrangement without the interference of the court and only the guidance of a family law attorney. However, if the court establishes that a negotiated agreement between the parents is not in the best interests of the child, the court will demand its custody order. Divorce is never an easy subject matter to discuss. It can be emotionally challenging and a difficult time not only for the couple but mainly for the children of the marriage. In a perfect world, a couple separates amicably, and custody battles don’t even need to happen. Unfortunately, that’s not always the case. With the guidance of a family law attorney, you can rightfully prepare for a custody arrangement that will prove to be the best and ideal for your children. You owe it to them and to yourself to make the best effort in setting a custody arrangement that is stable and sound. Here are the types of custody you can pursue. A lawyer can help you decide what works best in your and your children’s situation. Sole custody can be further classified into two types: sole physical and sole legal. Sole physical custody entails the minor children living with you, and your ex-spouse can do limited visitation rights. Sole legal custody, on the other hand, awards you the authority over the major decisions that affect your children’s lives, and this includes not allowing the other parent from visiting entirely. 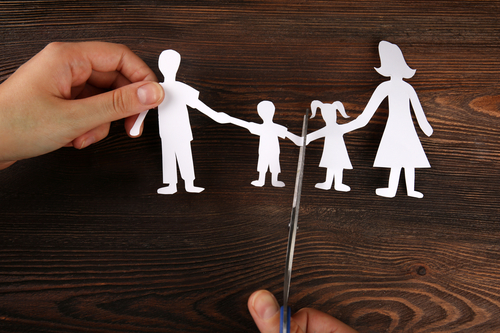 A lot of complicated factors will determine what type of sole custody you will be allowed. Therefore, it’s advisable to have excellent legal aid in your corner to guide you through the family court system. As opposed to sole custody, joint custody is much more common. Many divorced couples both want to have a degree of legal custody over their children, especially when the marriage ended amicably, with no abuse or neglect involved. 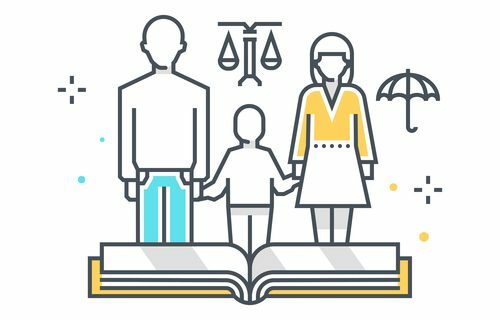 A joint custody draft involves shared rights and responsibilities of the parents regarding decisions that will have a significant impact on a child’s life. Joint custody can also be both physical and legal. If the former spouses don’t come to a mutual custody agreement, the presence of their respective family law attorneys is required. Separate proposed visitation and living schedules and arrangements will be presented; ultimately, the court will decide the final custody arrangement in the case of a dispute. It may be stressful for the children having to move regularly between different places. However, the keeping a relationship with both parents is essential in the overall development of the child. When the parents live within a sensible distance of each other, joint custody is more accessible to attain. However, if they live far away from each other, the logistics of the custody will need to be carefully considered and examined. Another child custody arrangement scenario is called bird’s nest custody; it may be less common, but it’s ideal for a lot of family situations. In this arrangement, the parents take turns moving in and out of the home where the children permanently live. While it’s a less traditional setup than other custody arrangements, it provides a sense of stability and consistency for the children while they grow and develop. If you find yourself seeking a bird’s nest custody arrangement, you and your spouse will need separate living spaces in periods where it’s not your turn to live where the children do. As a Family and Divorce Lawyer practicing for more than 30 years, I sometimes handle other types of cases for longstanding clientele. I’ve been happily married to my college sweetheart for over 36 years. Together we have 6 grown children and 9 grandchildren that make our world go round.